© 2014 STUDIOCANAL S.A. TF1 FILMS PRODUCTION S.A.S. Paddington BearTM, PaddingtonTM and PBTM are trademarks of Paddington and Company Limited. Through the stories they tell and the characters involved, as well as through the painstaking filmmaking process, these films are ideal for encouraging young people to think about what the creative process is, why it should be nurtured, and the consequences of exploiting or stealing that work for your own purpose. 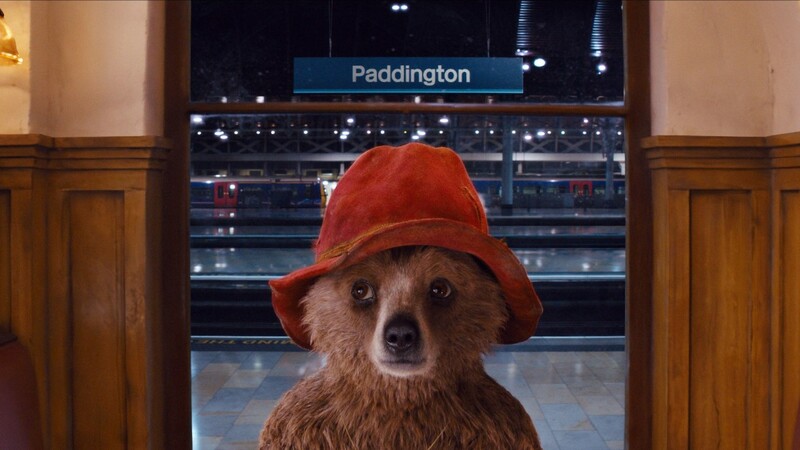 The enormous success of Paddington was largely the result of painstaking work from individuals at London based special effects company, Framestore. Not only did they need to create a realistic looking bear that could interact with humans, they also had to give that creature warmth and humanity - key to our empathising with the character. Inspired by Hans Christen Anderson's classic story The Snow Queen, Frozen is a great example of how older art and literature can influence distinctive new stories. Frozen's cultural impact has been enormous, and with endless amounts of merchandise - both official and unofficial - being produced, we are sure to see its own influence on many films to come. Cinderella had numerous outings on the big screen before Kenneth Branagh's live-action film. We love this version, but we also think it's fascinating for young people to look back at older versions of the story, so they can gauge an understanding of the processes involved in adaptation, and how individual creativity allows for the same story to be told in numerous different ways. The enchanting Peter and the Wolf continues to enthral young children, partly due to Prokofiev's memorable music - post screening, discuss how the film might have been without it. Why it is important that filmmakers do not simply use other people's music in their films without permission? The power of music is also celebrated in South African family drama Felix, where a talented musician from a poor background wins a prestigious scholarship and finds himself competing for a place in the school concert. This uplifting film is a brilliant evocation of music as an expression of creativity amongst people of all ages and backgrounds, regardless of their circumstances. Lots of popular films are full of inspiring themes around celebrating creativity and ingenuity in young people. A recent example is Big Hero 6, which features Hiro, a young robotics genius and inventor, who teams up with a group of his friends - all with very diverse but equally important talents - to form a band of high-tech and very modern heroes. The Young and Prodigious T.S. Spivet also tells the story of a young inventor. Here, the title character learns valuable lessons around the importance of protecting his own ideas, when he is invited to the Smithsonian Institute to present his perpetual motion machine by organisers who have no idea he is only a child. The painstaking labour put into Shaun the Sheep by the animators at Bristol's Aardman Animations has resulted in one of the most charming British films of recent years. Into Film reporters were there to cover every step of the filmmaking process, creating a brilliant insight into what goes into putting these stories onto the big screen, celebrating the endeavours of countless individuals behind the scenes.